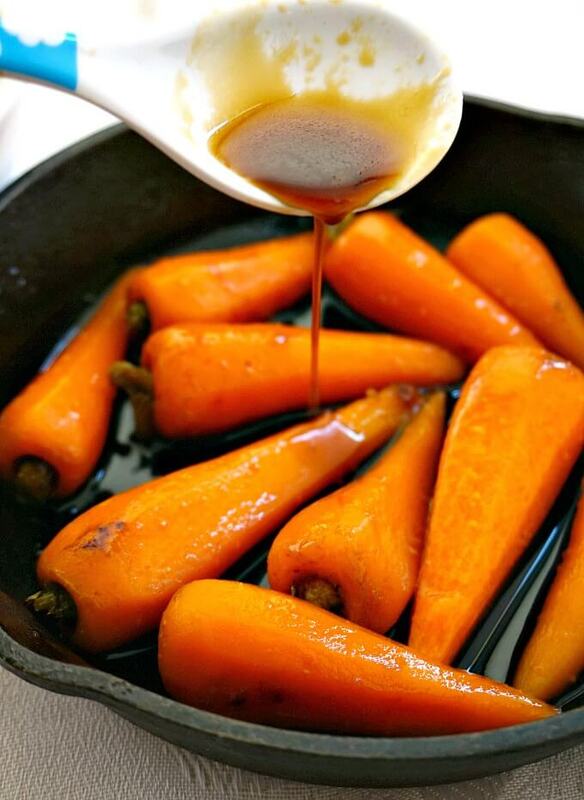 Soy Honey Glazed Baby Carrots, a delicios side dish that is ready in about 15 minutes. It goes wonderfully well with any roast, and will surely be everybody’s favourite dish at your Thanksgiving or Christmas dinner. 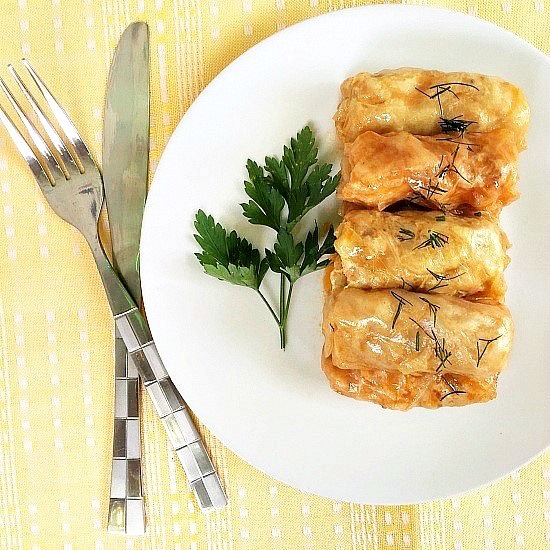 A super simple recipe, but surely a favourite, especially with little ones. Kids might not be too keen on veggies, but carrots tend to be on the to-eat list. Now, I absolutely love carrots, especially raw carrots, they are a quick, inexpensive and a healthy snack whenever hunger strikes. Cooked, however, I must say that I am not quite sure I love the taste that much. Maybe they are a tad bland for my taste buds, so glazing them in a delicious honey and soy sauce gives them an exquisite kick I was after. And what a perfect ocasion to enjoy some delicious glazed baby carrots than the nation’s favourite holidays like Thanksgiving or Christmas? Or even the much loved Sunday Roast. 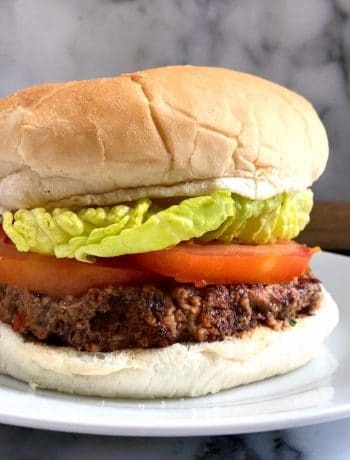 The recipe can’t be simpler, in fact, you only need 4 ingredients, and you surely don’t need to hang around the kitchen for long either. Depending how tender you like the carrots, they can be ready in well under 15 minutes, but baby carrots cook a lot faster than regular-sized carrots, so just work around that time. There are so many ways you can make glazed carrots, this is one of the easiest probably. I just steamed off the peeled carrots, and separately prepared the glaze by melting butter, and adding honey and soy sauce to it. 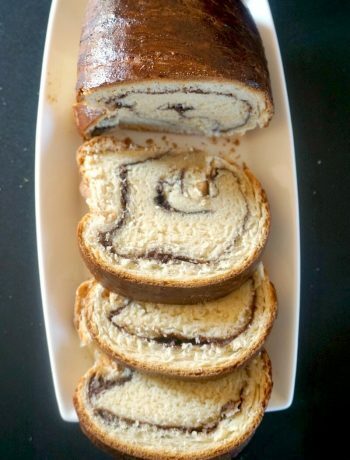 However, you can play with other ingredients too, and see what you like better. Honey can be replaced with maple syrup, and you can use lemon juice or orange juice instead of soy sauce. Or use brown sugar instead of honey or maple syrup. If you like parsnips, they would work wonderfully well with the same glaze, since they are root vegetables too. And what’s better, you can cook the carrots the way you like, steam boil, roast, microwave, whatever works for you. 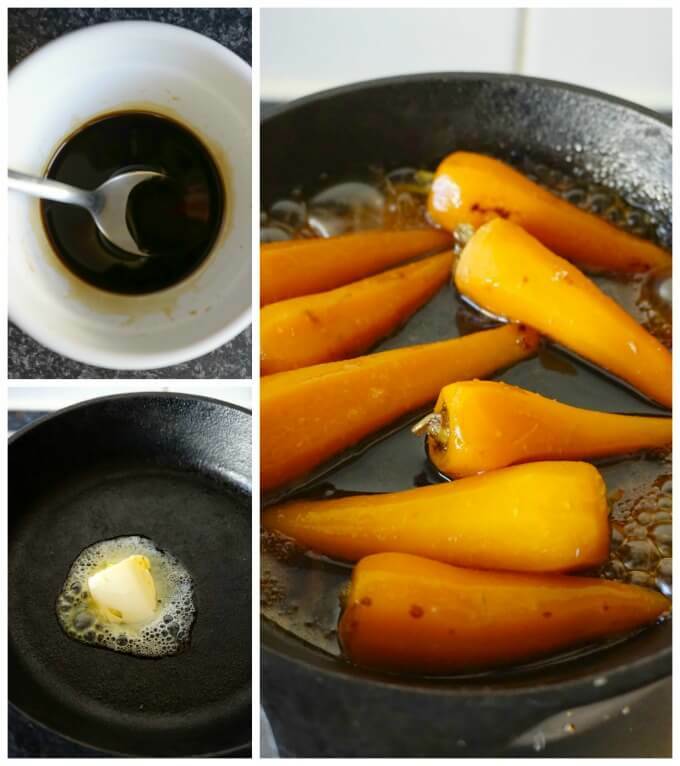 Another way of doing it is by adding the honey, butter and soy sauce to water, and cook the carrots until they are tender and the liquid is reduced to form a glaze. It really is that easy! Don’t discard the glaze after coating the carrots in, you can place it in a small bowl and drizzle some more over the carrots before you serve them too. 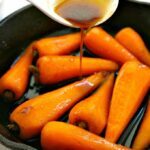 If you’ve tried this SOY HONEY GLAZED BABY CARROTS or any other recipe on the blog then don’t forget to rate the recipe and let me know how you got on in the comments below, I love hearing from you! You can also FOLLOW ME on FACEBOOK, and PINTEREST to see more delicious food and what I’m getting up to. 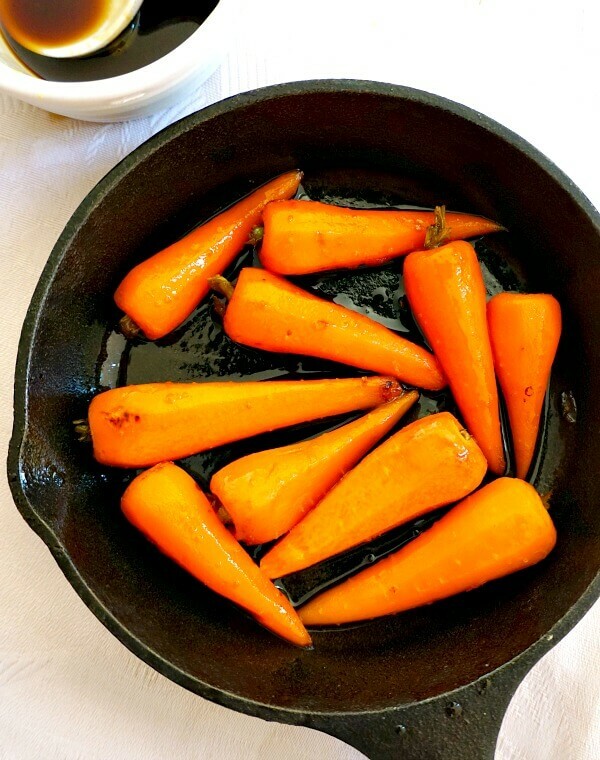 Soy Honey Glazed Baby Carrots, a delicios side dish that is ready in about 15 minutes. It goes wonderfully well with any roast, and will surely be everybody's favourite dish at your Thanksgiving or Christmas dinner. Boil or steam the baby carrots for about 10 minutes or until tender. In a skillet, melt the butter, then add the honey and sauce sauce and mix well. Add the cooked carrots and stir to coat with the glaze.